After 10 months of blogging, I am going to surpass 1 million page views sometime tomorrow. How to Get a Million Hits on Your Blog in Less Than a Year from: The Other McCain. I could not have achieved this milestone without the help of so many other bloggers. Without them, I would not have been able to surpass my first month page views of 101 views. Take a look at my blog roll, those bloggers slugging it out every day were all good enough to link to me and they are the reason I am writing this post today. In my first month of blogging, I got a total of 101 page views, my second month, 106 page views, (this was not going well), then in November, The Feral Irishman made a post asking if anyone wanted to be added to his blog roll, I asked to be added and he graciously added me and I learned my first major lesson about getting noticed in the blogosphere: Linkage. I started to get linkage from great bloggers like http://freenorthcarolina.blogspot.com, http://hopelesslysane.blogspot.com/, and http://capitalistpreservation.blogspot.com/. Still in November, I was lucky enough to get linkage from these awesome bloggers: http://knuckledraggin.com/, http://angrymikeshood.blogspot.com/, http://misskweensworld.blogspot.com/ and http://pitsnipesgripes.blogspot.com/. And so many more bloggers that linked to me. 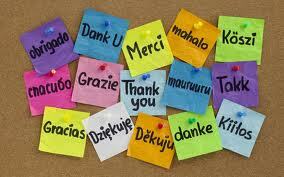 I thank all of you, if you are on one of my blog lists, I thank you for the linkage and all the hits you sent my way! Thanks MissK, you were also one of the earliest bloggers that linked to me, thanks so much! Speaking of links, How about a ad there big guy. In thre years I haven't reached 10,0 yet. I'm still small time ;). Thanks for all you do. Congrats Mike keep it up. Congratulations, my friend....it's been fun watching your blog grow. I've always had a simple rule, link me and I'll do the same. It works, as you've proven. Hell yeah Mike...you the man!